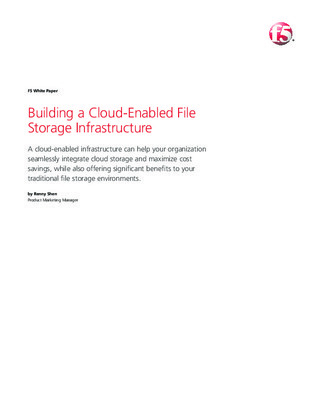 In the face of rapid data growth, cloud storage offers enterprises the opportunity to reduce not only the capital costs of purchasing storage but also the operational costs of managing it. However, the cloud remains a new and evolving technology with significant differences from traditional storage systems that you may not be aware of. Check out this white paper to learn more about the cloud, and why it may be right for your organization.